Today I am happy to share a review about one of my favorite products for this year. And I don´t know but when I write about products that are greatI feel more happy than usual. And with this post I finish a serie of reviews for the great webstore Jolse. For me there is not something like many eyeliners in a makeup collection. So I wanted try this pen liner from A'PIEU because I love try eyeliner from new korean brands and i had a long tine since the last time that I use a product from this brand. I checked this eyeliner at Jolse and I found that the tip is a fine brush tip and I love it the brush because always give me an easy drawing. (＾▽＾)／I want invite you to watch my short video review + demo! - Simple but nice design. - The brush tip for good precision. - This product has two shades black & brown. What exactly I am looking for in an eyeliner? First the formula must be good for sensitive eyes, that means that this does not cause any allergic reaction in my sensitive eyes. Somedays I suffer of allergy and is very frequent when I unconsciously rub my eyes and If the product is not rubbing proof I am going to remove eyeliner and look like a panda. But this eyeliner is waterproof and smudge proof. Another great point about this eyeliner is that is sweat proof, even If the day is very hotter and I start to sweat a lot the eyeliner stays there. I love it how easy is to apply and is easy to remove with an oil clenser is very simple and easy to remove. I like the precision that I have using this eyeliner and that is thanks to the great brush tip that is super small and provides a good defintion- The formula is very long lasting over 12 hours without have to retouch so I really love this eyeliner. The price is around $10 and for me that is a great price for everything that offers this product. I really recommend this eyeliner and I could repurchase this one but in brown color. The relation between price and quality is really good. (≧◡≦) ♡ And this was all for the review of today. This pen liner looks amazing. It's super black! Sound like a great eyeliner. This looks nice! I've been buying a lot from the brand lately. They are so good for the price! Sounds a really good eyeliner especially since it is so affordable as well. 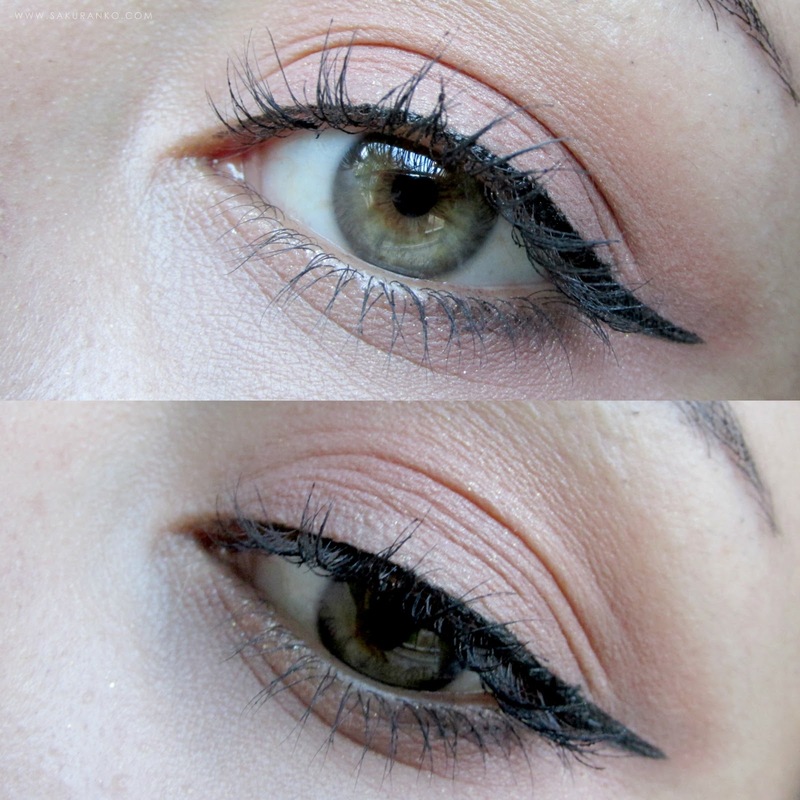 You look gorgeus, I love this type of eyeliner, is soft and easy to use. Beautiful eyes! Have a good day! Hi! Beautiful Makeup. I haven´t tryed it yet, but it looks very interesting. E adorei a tua opinião sobre o mesmo!